It's a constant refrain lately. Wouldn't you like to get away? If you're in a mindset where you're looking for any sign at all that it's time to leave town, your catamaran has arrived. 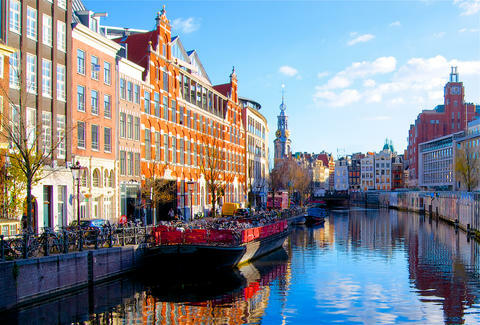 From New York City, you can get a roundtrip flight to Amsterdam or Paris for as little as $332 through Air Europa. They have a handful of dates at this price from late April into early May. But there's a catch. You have to dig up the tickets through the ITA Matrix Airfare Search. As highlighted by The Flight Deal, head to the ITA Matrix Airfare Search and enter your destination and departure. 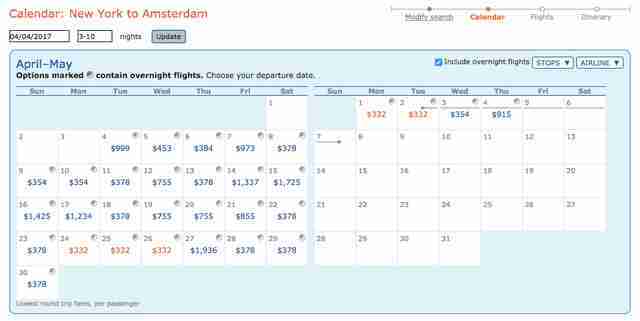 (Amsterdam = AMS, Paris = ORY.) Then enter "ux+" in the advanced routing codes fields for both the arrival and departure. Below, click "See calendar of lowest fares" and enter "3-10" for the length of stay.